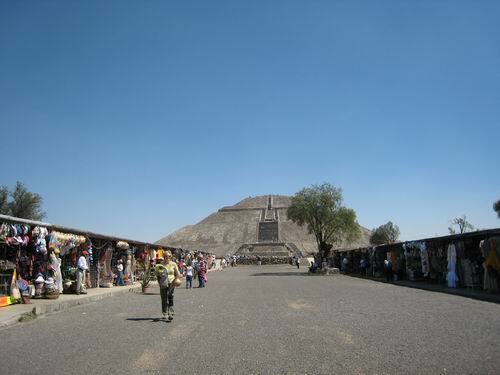 Today we visited the shrine of the Lady of Guadalupe and the Pyramids of the Sun and Moon at Teotihuacan. 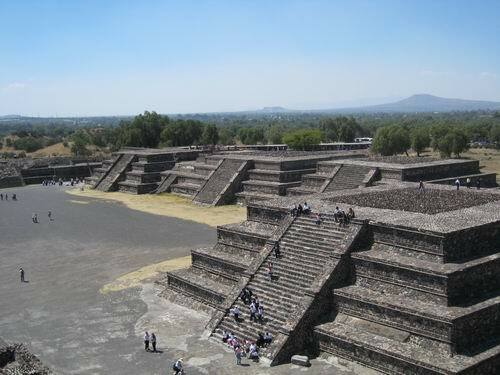 The city of Teotihuacan was built in the highlands of central Mexico about long,long ago.It became one of the largest cities in the world of the time. 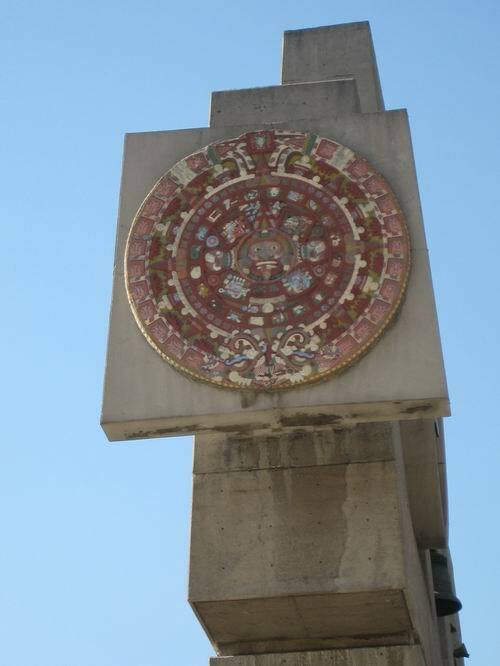 The city was home to 125,000 people. 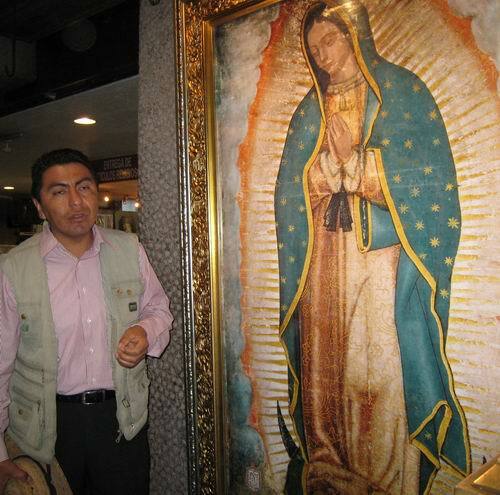 A reproduction of the portrait of The Virgin of Guadalupe. 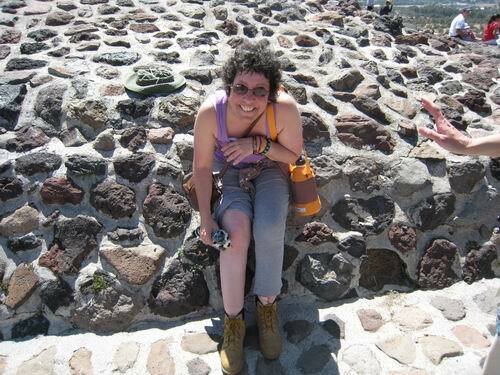 On the way to the pyramids. 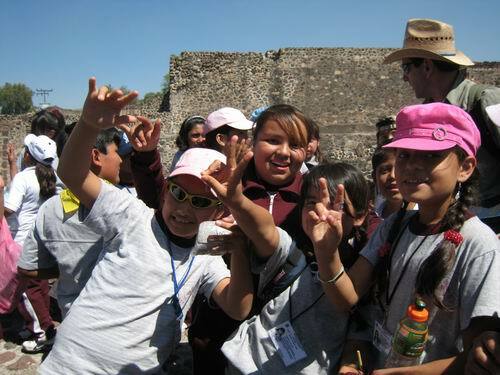 We meet 5th grade students from Mexico City who were on a school trip. 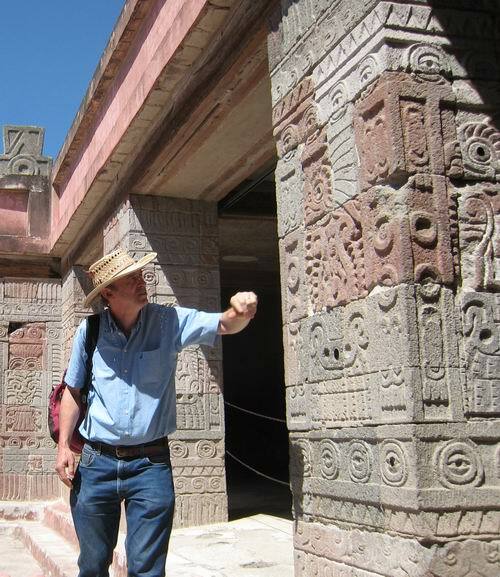 Mr. Erik M. explains the ancient carvings. 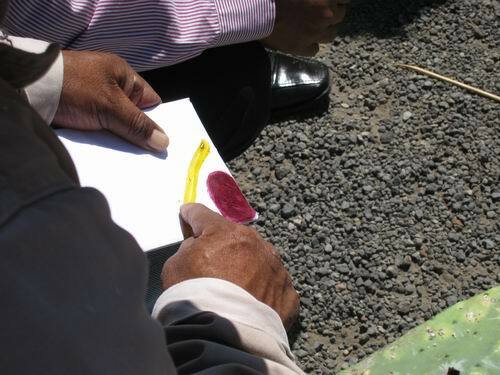 The pyramis stones once had paint on them and were very colorful. 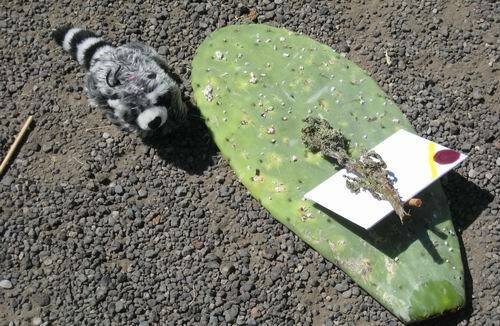 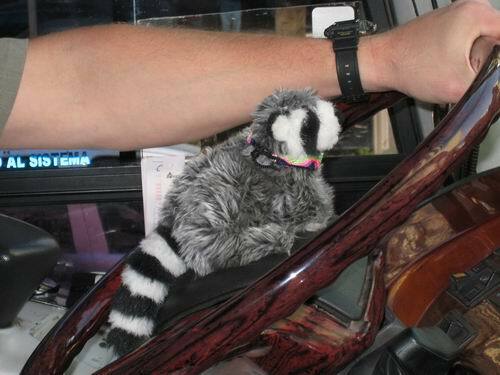 Squeaky learned that the paint was made from insects in the cactus and herbs. 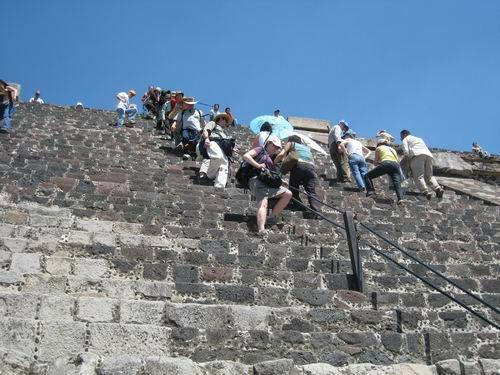 It's hard work climbing the pyramid. 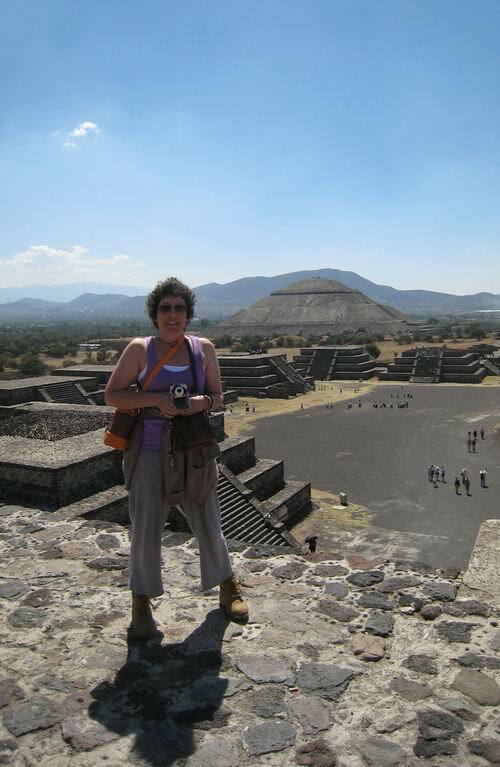 Squeaky and I made it to the top of the pyramid .There were butterflies waiting at the top! 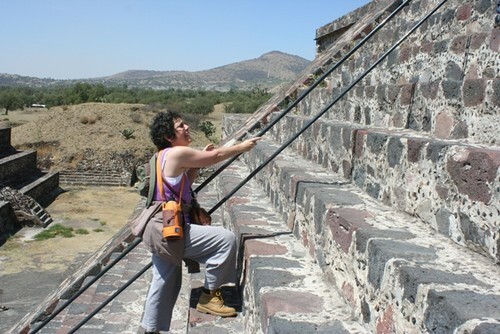 I had a little fall on the way down the pyramid..but Squeaky kissed it for me! 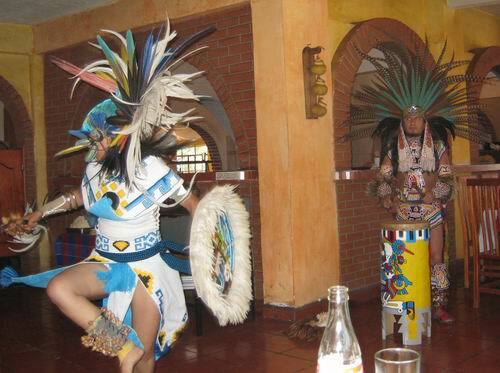 Dancers at the restaurant where we ate lunch. 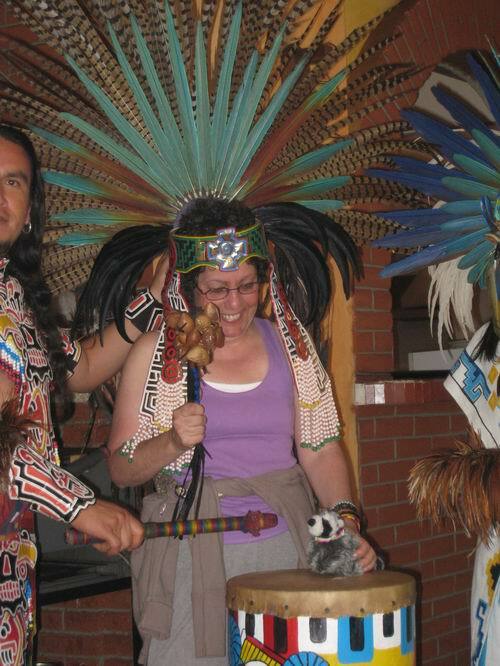 I wore the feathered headress and Squeaky helped play the drum.